FOSTER A CHILD - A New Leaf - Foster Care Services for children and families in Central Ohio. Helping one more child with their homework. Teaching a toddler that square pegs don't go in round holes. And watching Friday night football under the lights again. We NEED caring families to join our team and provide children a place to live, laugh, and learn. 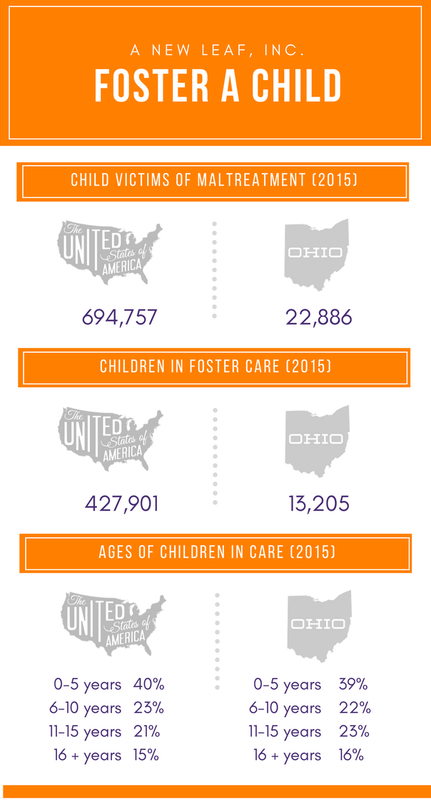 Each year, the number of children entering the foster care system increases. These statistics are our reason to continually find families who will open their hearts and their homes to help the many children who are in need.